You know how the French are, they’re so intriguing, and with that romantic accent, sigh … oh yes they draw you in. Admittedly there has been a long-standing love affair with the dashing string bean known as Harry Corvair (haricot verts)! Your grandma was in love, your mom, too. Generations of cooks have fallen, maybe even you. Sure it’s easy to develop a fondness, because this tall, thin, snappy vegetable dressed in green is so delicious. This time of year beans of all kinds are beginning to spindle up their stalks, bear fruit and come on the market. The tender crisp bean is a welcome summer love. Ah but first you must learn how to pronounce his name! 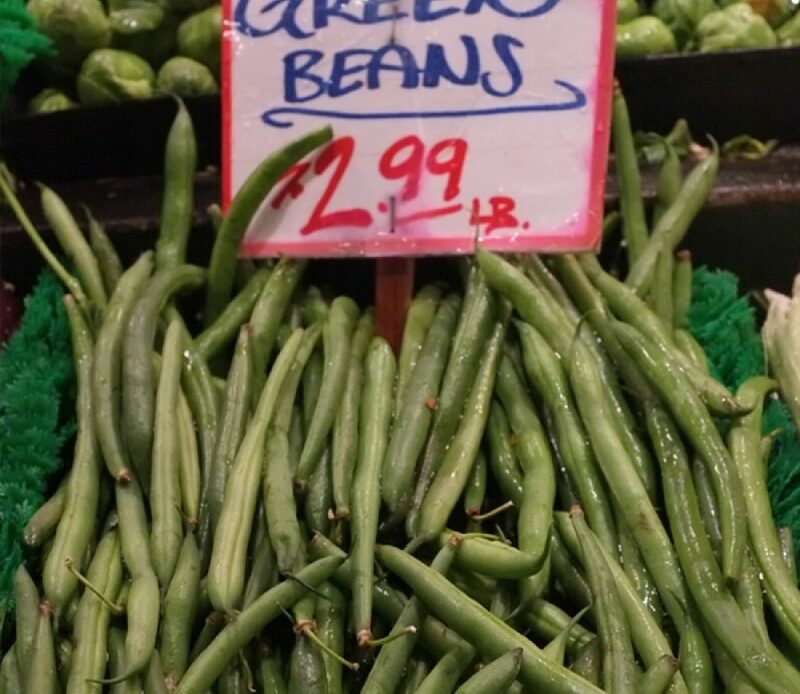 Haricot verts are the thin French green beans par excellence but there are many other varieties of fabulous beans to explore, Roma, broad, green, purple, yellow. There are shorter bush beans that grow to 2 feet tall, and there are pole beans that can become 8 to 10 feet tall. So by all means don’t limit yourself, play the field!